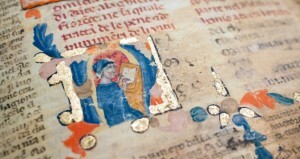 Francesco’s Offiziolo is one of the earliest evidence of the fortune of Dante’s Divina Commedia in that it refers to the work at its early stages when it was still being written. Want to know more? Read on! 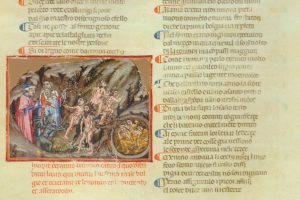 Fans of Dante’s Divine Comedy, we have little treat for you: enjoy this short reading about the Ms. 1002 held in the Biblioteca Angelica. 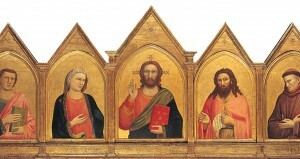 Discover the artistic and literary environment of Renaissance Florence in this hands-on experience fostered by the Art Gallery of Ontario. 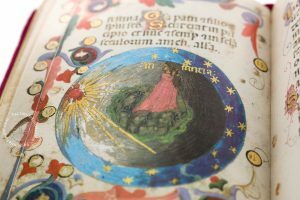 The prolific imagination of Dante Alighieri founds its counterpart in the beautiful images crafted by Pacino di Bonaguida in the first Divine Comedy ever illuminated.